The University of Oregon is joining the Common Application, a move that will make it easier for thousands of prospective students who apply to several schools in addition to the UO. 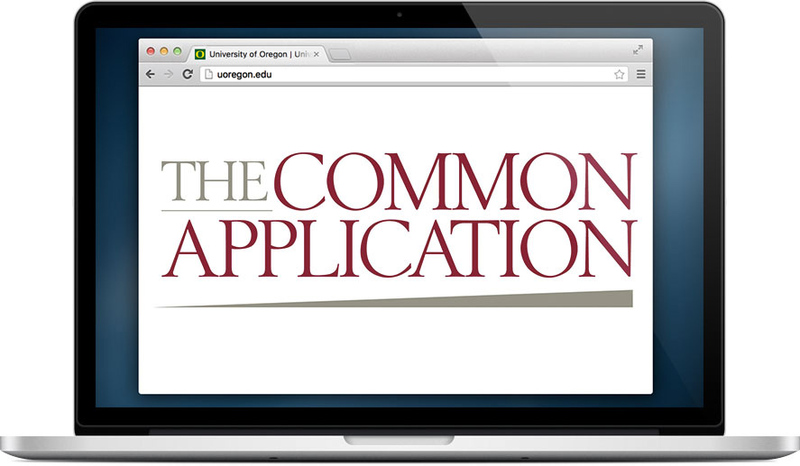 The Common Application started in 1975, but the UO will be the first public institution on the West Coast to join the organization. Beginning in August, students seeking freshman admission will still be able to use the UO’s own application or choose the Common Application, which is accepted by more than 700 member schools in the U.S. and beyond. Jim Rawlins, the university’s director of admissions and assistant vice president of enrollment management, said the change will be particularly valuable at the UO, which receives more than 20,000 applications a year for freshman admission. That’s the most of any institution in the state of Oregon. The Common Application serves a growing number and variety of colleges across the country and provides students, families and school counselors a variety of tools, resources and efficiencies to ease the application process. In academic year 2015–16, approximately 947,000 students used the Common Application to submit more than 4 million applications for college admission. While many in-state students might continue using the UO’s own application, the university predicts that the opposite will happen with the 80 percent of Oregon’s applications that come from out of state or beyond the U.S. In the coming months, UO admissions staff will be conducting workshops around the state. Students and their families — and the counselors who work with them — will have an opportunity to learn more about the Common Application.